OLD SAYBROOK — Joe Cadena (aka East Chicago Joe), is a vocalist and guitarist from East Chicago, Indiana. Joe’s career has spanned almost 50 years. During that time, his appreciation for the Great American Songbook (and all things Sinatra & Bennett ) has grown to a deep and abiding love for this music. Cadena performs the classics, but he does so in his own entertaining and engaging way. 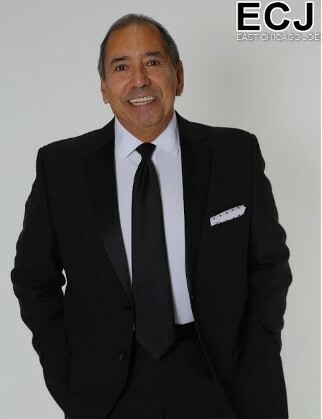 Whether it’s Bobby Darin, Sinatra, Bennett, Dino or the many other artists whose songs he performs, Cadena will always leave you with a smile on your face! This event takes place on Saturday, July 28, from 3 to 4 p.m. It is free and open to all. Registration is strongly suggested as seating is limited. Register at actonlibrary.org or by calling 860-395-3184. If you have any questions, call the library at 860-395-3184 during service hours of: Monday – Thursday 10 a.m. to 8 p.m., and Friday and Saturday 10 a.m. to 5 p.m. or visit actonlibrary.org.